Please remember when enrolling online to give the College a postal address to where your course material is to be sent. 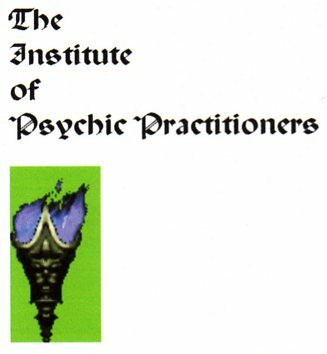 Psychic Practitioner [Dip.P.P.] You can become a successful Psychic and develop your own natural psychic powers. We all have the ability; all that we need to do is to unlock our own powers. The college’s course enables you to do that in a very practical way, the techniques used to connect with and harness spiritual power. Topics covered include a general introduction to the underlying philosophy which enables us to understand why effects work, the nature of psychic energy, learning to listen, discovering the incredible spirit web and communicating through it, psychic self-protection, psychic sightseeing, using psychic power for personal improvement and achievement, spirit guides, hauntings and exorcism, using psychic tools, magic, people as clients. Successful psychics enjoy high earnings by helping others... a spiritually beautiful win-win concept which you too can enjoy through the college’s course and the support it gives throughout and after graduation. All that you need is the right support. The college offers you that support now . Electronic Voice Phenomenon [Dip.E.V.P.] Described sometimes as ‘The Cinderella Science’, this E.V.P. course will give you a singular and distinctive insight into what constitutes the phenomenon. For example, why do voices from the dead often speak so accurately with the correct regional or foreign accent sometimes and sometimes not, why are apparent radio messages received from World War II pilots and ships’ captains and why are the voices of folk who are still alive also manifesting themselves in this phenomenon? Why did the Holy See in Rome help finance and assist research into E.V.P.? You will obtain an unique insight into this subject, practical information about methods and equipment and learn quickly and in very straightforward terms how to become an Electronic Voice Phenomenon Investigator and Researcher. Whilst many claim that E.V.P. are simply voices from the dead ... which often they are, the truth ... whole truth may be even much more amazing. Quantum Theory (for Parapsychologists and others) [Dip.Sc.] 1. Nature’s conjuring tricks examined How can something be in two places at once?- 2. the origins of quantum:- Planck’s Constant, particles of light, dual nature of light, Niels Bohr’s work, Louis de Broglie’s work. 3. Probability and Chance:- unpredictability, anatomy of an equation, Heisenberg’s uncertatinty principle, impossible halos, radioactive decay. 4. Spooky connections:- The two-slit trick explained, particle interferometers, a dice game played on Earth and planet Pluto, Entanglement, the EPR Experiment, the EPR Paradox, Bell’s Theorem, Quantum Chaology. 5. Seeing Affects:- Schrodinger’s Cat, Decoherance. 6. Formalism -v- Interpretation:- Does a theory need an interpretation?, The Many World’s interpretation.7. The sub-atomic world:- Mystery rays, Spin, Pauli’s exclusion principle, Antimatter, quantum tunneling, Quarks. 8. Ultimate Theory:- Quantum theory of light, Gauge theories, Gravity, String theory. 9. Quantum at work in our everyday lives:- Microchip world, future uses of quantum, perpetual motion electricity, energy from nuclei, quantum mechanics in medicine, genetic mutations, atomic energy and nanotechnology. 10. The future . UFOlogy - the study of Unidentified Flying Objects and related phenomena [Dip.Sc.] This course covers a very extensive list of sightings, examines the many natural explanations for sightings. However many remain a mystery. The simple arithmetic which we confront is, ‘how many stars are there with planetary systems ... and what percentage of them have planets just like Earth? That we are not alone, and something is OUT THERE, follows. Learn to be a respected scientific UFO Researcher.